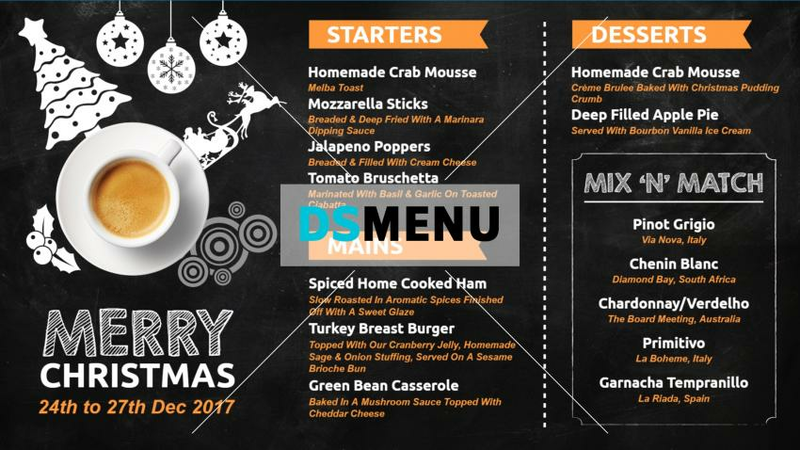 A chic and trendy menu board of a QSR with exclusive offerings for Christmas. The black background color along with white and orange typeface lends a flamboyance to the menu, which can attract upmarket clientele. Best display on a digital signage menu board to attract the target audience. The QSR menu has it all the entice everyone.